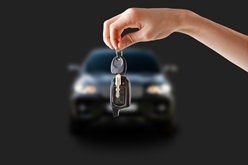 5 Smart Financial Moves When Buying a Car | The Consumer Law Group, P.C. Whether you have been saving and planning for months for your new or used car or you find yourself having to buy one in a pinch, taking a little more time to research your options could save you a lot of money in the long run. Take a look at these common mistakes and how to avoid them before you sign that loan contract. Know your credit rating. Your credit rating will determine whether you can qualify for lower interest rates and special offers when financing. If you start shopping before knowing what you can get approved for, you are much more likely to sign a contract with a high interest rate or penalties. The dealer makes more money if they can take you to a higher interest rate than your credit score deserves. Research. The Internet offers many tools now that allow you to research the value of a used car and even check the repair record of a specific used car. Take the time to find out what you should be spending on a car before hearing a salesman’s pitch. Think of total cost, not payments. Car dealers will always talk in terms of monthly payments, but don’t get sucked in. Consider the entire price tag before making a decision. Thinking of a car as costing $9,000 is much more realistic than thinking of it as $149 per month (for five years!). Don’t buy add-ons. Add-ons such as rustproofing, window tinting, life insurance, and chrome wheels are a dealer’s bread and butter. That’s because you pay much more for them than they are worth. Do not give in to offers of add-ons and make sure they have not been added to your contract without your consent. Shop around for financing. You rarely get the best deal by financing with the dealer. Call your bank or credit union first and compare rates to find the best offer. Getting a car loan down from eight percent interest to four percent will save you a lot of money in the long run. We know that car ads and offers of special deals are tempting, but it is important that you have an understanding of your own financial situation and the value of what you are buying before you shop for that new or used car. If you feel like you have been cheated by a car dealership, contact The Consumer Law Group, P.C. to find out if we can help.